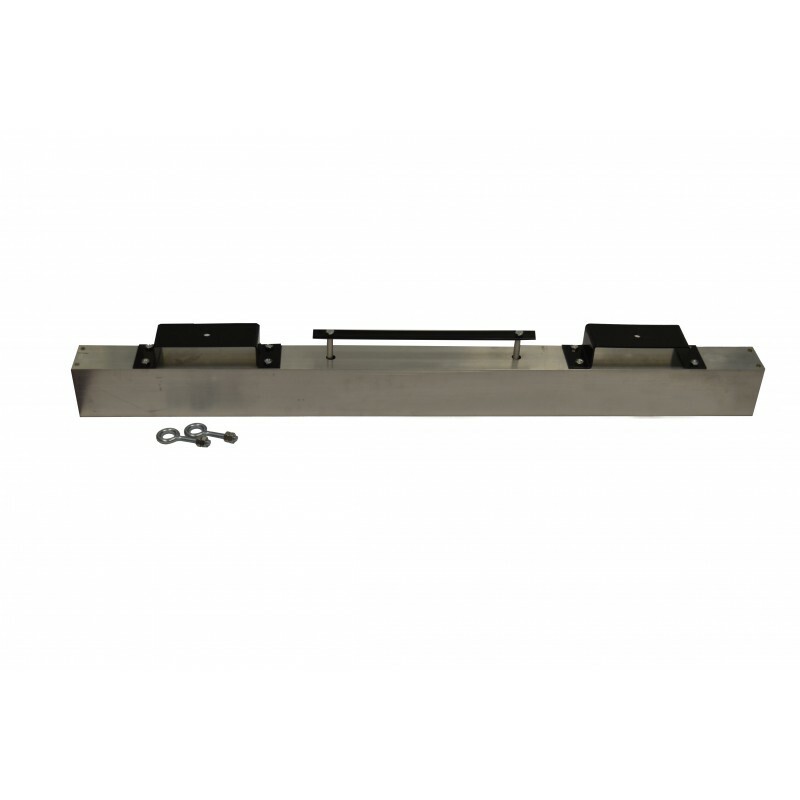 These are industrial strength, permanent magnets for the removal of dangerous ferrous objects from roads, parking areas, loading docks, warehouses and other busy areas. Our hang-type magnetic sweepers greatly reduce the possibility of costly dangerous punctures and injuries caused by nails, scrap iron particles, screws, etc. Simply hang this magnetic sweeper from your forklift and “sweep” all contaminated areas. Pull the bar between the forks upwards to release the collected debris. Wipe the face of the magnet with a glove or heavy shop towel to clear any excess metal. Two eye bolts are installed on each magnet for suspending.